2.1 All information and materials on the Site are presented solely for the purpose of providing general information on and promoting Our products and services. Such information and materials do not constitute offers for Our products and / or services or official retailers or other third parties, nor do they constitute advice or other instructions on the use of Our products and / or services. 2.3 The Site may contain information on our worldwide products and services, not all of which are available at every location. A reference to any product or service does not imply that that product or service is or will be available at your location. 2.4 We have made every effort to display as accurately as possible the colors of our products that appear on this Site. However, since the actual colors you see depend upon your computer and monitor, we cannot generate that the display of any color will be completely accurate. 2.5 We, from time to time, may run promotions or other special offers. These may include a free item added to your shopping basket upon check-out and sent to you together with your purchased item(s). Should you choose to withdraw your purchase in accordance with Our Return Policy, we will accept such withdrawal only if you also return the free item that corresponds with your purchase. Such promotions or other special offers may be offered at Our sole discretion as to time, duration, choice of item and all related decisions. 3.3 You are responsible for paying any governmental taxes imposed in connection with use of the Site or the purchase or any products or services made available through the Site, including sales, use, and excise taxes (excluding only taxes on Our net income). To the extent that We are obligated to collect such taxes, the applicable tax will be added to your billing account. 3.4 You may withdraw the purchase, return the purchased items and claim refund in accordance with Our Return Policy. 3.5 All prices displayed on the Site are quoted in the currency noted on the Site. We may restrict delivery to addresses in certain jurisdictions. We will add shipping and handling fees and applicable sales/use tax in accordance with Our then existing policies. We reserve the right without prior notice to discontinue or change specifications and prices on products and services offered on its Site without incurring any obligation to you. Products displayed on this Site are available while supplies last. Descriptions of, or references to, products or services on this Site do not imply endorsement of that product or service, or constitute a warranty, by Omega. For warranty information please see Our Warranty. The receipt by you of an order confirmation does not constitute Our acceptance of an order. Prior to Our acceptance of an order, verification of information may be required. We reserve the right at any time after receipt of your order to accept or decline your order, or any portion thereof, even after your receipt of an order confirmation from Us. We reserve the right to limit the order quantity on any item and to refuse service to any customer without prior notification. In the event that a product or service is listed at an incorrect price, We shall have the right to refuse or cancel orders placed for the product listed at the incorrect price, regardless of whether the order has been confirmed and your account charged. If your account has already been charged for the purchase and your order is canceled, We shall promptly issue a credit to your account in the amount of the incorrect price, or provide you with a refund at your election. The risk of loss and title for all products purchased by you and shipped by Us pass to you upon Our delivery to the carrier for shipment. The risk of loss and title for all products purchased by you and shipped directly by one of Our vendors pass from such vendor to you upon such vendor's delivery to the carrier for shipment. 4.1 Please be aware that whenever you post information to the Site (e.g. a forum or guestbook) that information may be accessible for other users. You should therefore choose carefully the information you post and that you provide to other users. 4.2 Omega does not claim any ownership rights in the text, files, images, photos, video, sounds, feedback, works of authorship or any other materials that you may post (“User Content”) on the Site. After posting your User Content, you continue to retain all ownership rights in it, and you continue to have the right to use it in any way you choose. By posting your User Content on or through the Site, you hereby grant Us a non-exclusive, sublicensable, transferable, fully paid-up, royalty-free and worldwide license to use, modify, publicly perform, publicly display, reproduce, create derivative works and distribute your User Content, all without any compensation to you whatsoever, including in product designs, on and through the Site or in the Omega section of a third-party platform (Facebook, Twitter, etc.). 4.3 By posting User Content to the Site or otherwise submitting User Content to Us, you represent and warrant that: (i) you own the User Content posted by you on the Site or otherwise have the right to grant the license set forth above, and (ii) the posting of your User Content on the Site does not violate the privacy rights, publicity rights, copyrights, trademarks, contract rights or any other rights of any person or company, including as a result of your failure to obtain consent to post personally identifying or otherwise private information about a person. 4.4 You are solely responsible for the User Content that you post on the Site. You may not post, transmit, or share User Content on the Site that you did not create or that you do not have permission to post. User Content is not necessarily reviewed by Omega prior to posting and does not necessarily reflect the opinions or policies of Omega. Omega makes no warranties, express or implied, as to User Content or the accuracy and reliability thereof or any material or information that you transmit to other users. You are prohibited from posting or transmitting any unlawful, threatening, libelous, defamatory, obscene, scandalous, inflammatory, pornographic or profane material or any material that could constitute or encourage conduct that would be considered a criminal offence, give rise to civil liability or otherwise violate any law. 4.5 Omega expressly reserves the right to remove any information or materials posted or transmitted for any reason or for no reason, including any offers for watches. Omega will fully cooperate with any law enforcement authorities or court order requesting or directing Omega to disclose the identity of anyone posting any such information or materials. 5.1 The Site together with any information, text, images, photographs, audio and video clips, designs, graphics, logos, symbols, names, product and corporate designations, as well as all software contained in the Site and all other files, and their selection and arrangement (the “Site Content"), are subject to legal protection, in particular copyright, trademarks and design rights held by Omega, The Swatch Group, its affiliates, its users or its licensors with all rights reserved. No Site Content may be modified, copied, distributed, framed, reproduced, republished, downloaded, displayed, posted, transmitted or sold in any form or by any means, in whole or in part, without Our prior written permission, except that the foregoing does not apply to your own User Content that you legally post on the Site. In addition, no digital content whatsoever may be copied into other programs without the prior written approval of Omega. 6.1 EXCEPT AS EXPRESSLY PROVIDED IN THE [WARRANTY], THE SITE, THE SITE MATERIALS AND USER CONTENT AND MATERIALS ON, IN, AND MADE AVAILABLE THROUGH THE SITE, AND THE SERVICES, PRODUCTS, INFORMATION AND OTHER MATERIALS ON AND IN AND MADE AVAILABLE THROUGH THE SITE ARE MADE AVAILABLE “AS IS” AND “WITH ALL FAULTS.” USE OF THE SITE IS ENTIRELY AT YOUR OWN RISK. WE AND OUR LICENSORS MAKE NO REPRESENTATIONS OR WARRANTIES, AND DISCLAIM ALL REPRESENTATIONS AND WARRANTIES, WITH RESPECT TO THE SITE, THE USER CONTENT, THE SITE MATERIALS, THE SERVICES, PRODUCTS, INFORMATION AND OTHER MATERIALS ON AND IN AND MADE AVAILABLE THROUGH THE SITE, EXPRESS OR IMPLIED, WRITTEN OR ORAL, ARISING FROM COURSE OF DEALING, COURSE OF PERFORMANCE, USAGE OF TRADE, OR OTHERWISE, INCLUDING THE IMPLIED WARRANTIES OF MERCHANTABILITY, FITNESS FOR A PARTICULAR PURPOSE, QUALITY, TITLE, AND NON-INFRINGEMENT. 6.2 Omega assumes no responsibility, and shall not be liable for, any damage to, or viruses that may infect, your computer equipment or other property on account of your access to, use of or browsing of the Site or your downloading of any materials, data, text, images, video or audio from the Site. 6.3 Omega reserves the right to interrupt or discontinue any or all of the functionalities of the Site. 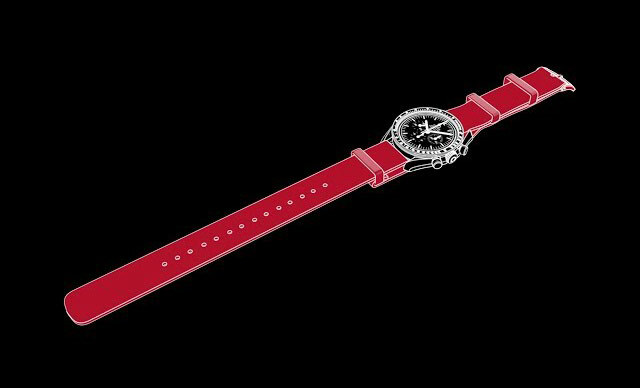 Omega accepts no responsibility or liability whatsoever for any interruption or discontinuance of any or all functionalities of the Site, irrespective of whether this is the result of actions or omissions of Omega, The Swatch Group or any of their affiliates or any third party. 6.4 While Omega uses reasonable efforts to include accurate and up-to-date information on the Site, it makes no warranties or representations with respect to the Site. The Site Content may contain technical inaccuracies or typographical errors. Omega reserves the right to make changes, corrections and/or improvements to the Site Content at any time without notice. 7.1 Because Omega has no control over and does not endorse any of the sites to which the Site is linked and because Omega has not reviewed any or all of the sites to which the Site is linked, you acknowledge that Omega is not responsible for the content of any off-site pages or any other sites linked to the Site. Responsibility for access to off-site pages and linked third-party sites rests solely with you. 7.2 Your linking to the Site, off-site pages or other sites is at your own risk. By making use of any such links, you understand that the legal statement and Privacy and Cookie Notice of any linked site will apply, which may be different from those of Omega. 7.3 Framing of the Site by sites or site elements is not permitted. In-line linking or any other manner of incorporating parts of the Site on other sites is equally prohibited. 8.1 While Omega endeavors to ensure that the Site is normally available 24 hours a day, it will not be liable if for any reason it is unavailable at any time or for any period. 8.2 Access to the Site may be suspended temporarily and without notice in case of a system failure, maintenance or repair or for reasons beyond Our control. 9.1 IN AS MUCH AS PERMITTED BY LAW, AND EXCEPT FOR DAMAGE CAUSED BY WILLFUL INTENT OR GROSS NEGLIGENCE, OMEGA, AND ANY OTHER COMPANY OF THE SWATCH GROUP, AND THEIR AFFILIATES, SUBSIDIARIES AND LICENSORS AND THEIR RESPECTIVE OFFICERS, DIRECTORS, EMPLOYEES, SHAREHOLDERS OR AGENTS OF ANY OF THEM, EXCLUDE ALL LIABILITY AND RESPONSIBILITY FOR ANY AMOUNT OR KIND OF LOSS OR DAMAGE THAT MAY RESULT TO YOU OR A THIRD PARTY (INCLUDING ANY INDIRECT, OR CONSEQUENTIAL LOSS OR DAMAGE, OR ANY LOSS OF INCOME, PROFITS, GOODWILL OR DATA) IN CONNECTION WITH THE SITE IN ANY WAY OR IN CONNECTION WITH THE USE, INABILITY TO USE OR THE RESULTS OF USE OF THE SITE, ANY WEBSITES LINKED TO THE SITE OR THE MATERIAL ON SUCH WEBSITES, INCLUDING LOSS OR DAMAGE DUE TO VIRUSES THAT MAY INFECT YOUR COMPUTER EQUIPMENT, SOFTWARE, DATA OR OTHER PROPERTY ON ACCOUNT OF YOUR ACCESS TO, USE OF OR BROWSING OF THE SITE OR YOUR USE OF ANY SITE CONTENT OR ANY WEBSITES LINKED TO THE SITE, REGARDLESS OF LEGAL THEORY, WHETHER OR NOT YOU OR WE HAD BEEN ADVISED OF THE POSSIBILITY OR PROBABILITY OF SUCH DAMAGES, AND EVEN IF THE REMEDIES OTHERWISE AVAILABLE FAIL OF THEIR ESSENTIAL PURPOSE. UNDER NO CIRCUMSTANCES WILL THE TOTAL LIABILITY OF WE AND OUR AFFILIATES, SUBSIDIARIES AND LICENSORS TO YOU OR ANY OTHER PERSON OR ENTITY IN CONNECTION WITH, BASED UPON, OR ARISING FROM THE SITE, USER CONTENT, THE SITE MATERIALS ON, IN, AND MADE AVAILABLE THROUGH THE SITE, OR THE SERVICES, INFORMATION, OR PRODUCTS OFFERED IN CONNECTION THEREWITH EXCEED THE PRICE PAID BY YOU DURING THE PRECEDING YEAR FOR USE OF THE SITE. SOME JURISDICTIONS DO NOT ALLOW THE LIMITATION OR EXCLUSION OF LIABILITY FOR INCIDENTAL OR CONSEQUENTIAL DAMAGES, SO THE ABOVE LIMITATION OR EXCLUSION MAY NOT APPLY TO YOU. IF ANY PART OF THIS LIMITATION ON LIABILITY IS FOUND TO BE INVALID OR UNENFORCEABLE FOR ANY REASON, THEN THE TOTAL LIABILITY OF US AND OUR AFFILIATES, SUBSIDIARIES AND LICENSORS SHALL NOT EXCEED TEN DOLLARS ($10). IF YOU ARE DISSATISFIED WITH THE SITE, OR WITH ANY OF THESE TERMS, OR FEEL WE HAVE BREACHED THESE TERMS, YOUR SOLE REMEDY IS TO DISCONTINUE USING THE SITE. 14.1 The Site is controlled by Omega Ltd., Rue Jakob Stämpfli 96, 2502 Biel-Bienne, Switzerland, and operated from within the United States by Omega. Without limiting anything else, We make no representation that the Site, Site Content, User Content, services, products, information or other materials available on, in, or through the Site is appropriate or available for use in other locations, and access to them from territories where they are illegal is prohibited. 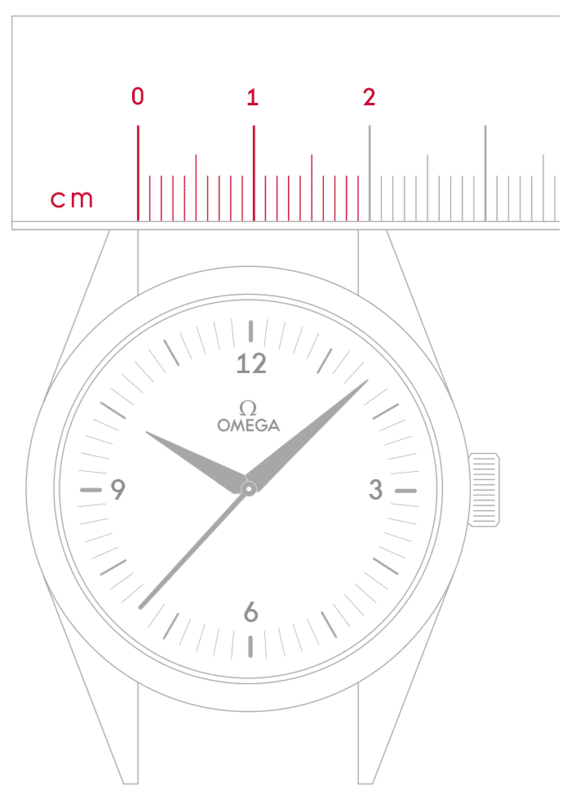 OMEGA – Division of The Swatch Group (U.S.) Inc. Copyright © 2017 Omega Ltd. All rights reserved. OMEGA pays attention online payments security. In order to protect your card information and ensure that it will not be able to be used by other people, all the payment information is delivered in SSL certificate. OMEGA uses the payment platform of Datatrans.